In today’s training, you will learn how the internet works and how people make money from it. 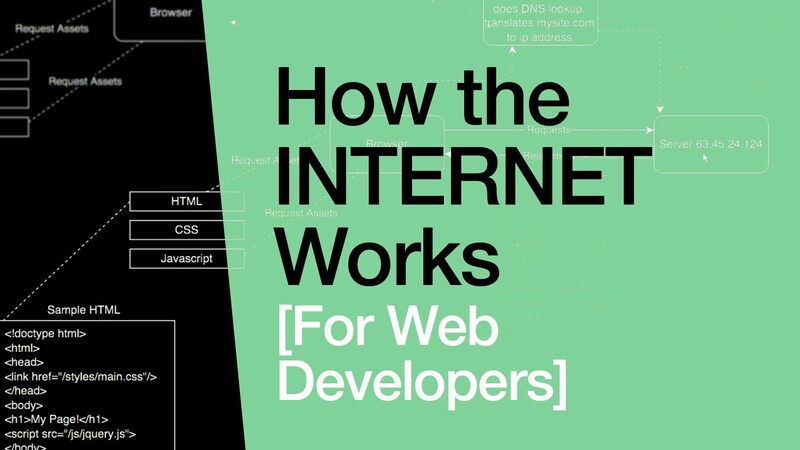 Internet, in simple terms is a communication platform between computers. Information is hosted in separate computers and is accessible to other computers in the well programmed network called the World Wide Web (WWW). Everything that goes on within the World Wide Web is referred to as “Online”. 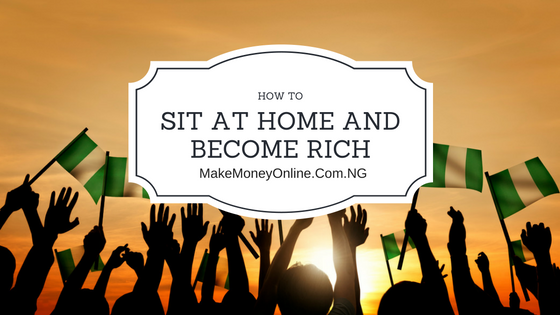 So, if you say – “How can I make money online”, you are basically referring to how you can make money from the internet or Word Wide Web. Often times, people use these three word’s interchangeably without violating any rule of disambiguation. So, you are free to call it “Internet”, Word Wide Web, or Online. The internet can be liken to large open market in your community. Every community has a market. The market is so large that it has no boundaries. People interact with one another, they share ideas, sell products or provide services. Many people browse the internet for materials used in assignment, term paper or research. Others use internet to make money either from selling products or providing paid services. How do People make money from the internet? That’s a question you need answers to. Like I earlier said, internet is a very large market without boundaries. It therefore means that you can make money from the internet by selling something online, providing services online. You can sell your own product online. You can also provide services to others online and get paid for it. If you don’t have your own product, you can still sell another people’s product and earn a commission. 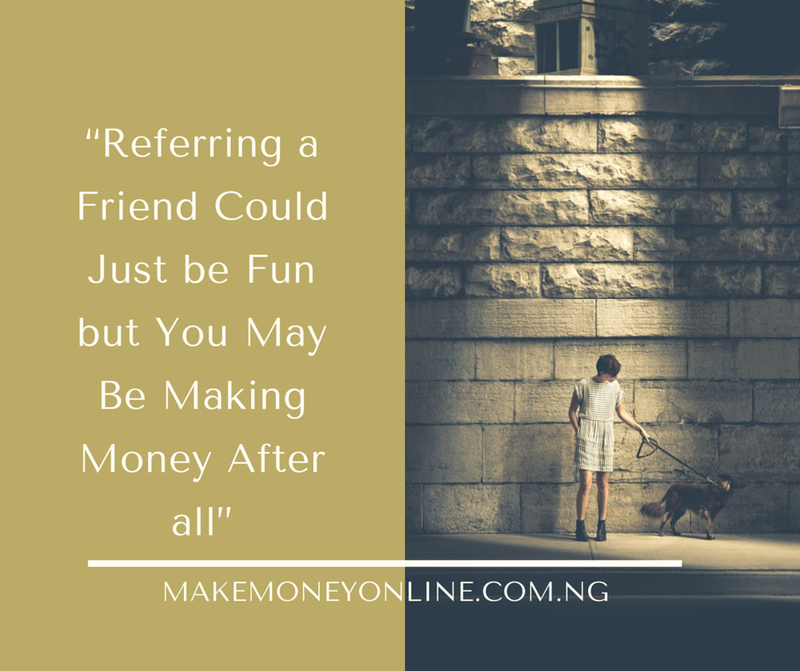 For instance, I make nothing less than NGN20,000 commission every month from Konga.com and Jumia.com.ng. 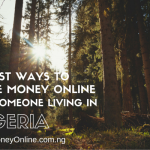 So, what do you do to make Money Online? If the internet is a large market, you may have to own a shop, store or a tent. This is where people will meet you to become your customer or client. In a general setting, your Facebook Page, Website or Blog becomes your store, shop or tent. A website or a blog is where people come to meet you to request for a product or services. Your website or blog then becomes your shop inside the large market (internet). If your website or blog is very popular, people can come there to advertise their products or services. This becomes another source of internet income for you. I know your mind is asking – how do I start internet business? How do I create a website or blog? How do I make money online? Yes, you are free to think that, because you now know how the internet works. …but don’t start yet. Many people make the mistake of jumping into internet business without fully understanding how it will work. That is why I brought this training to you. (a) potential profitable market (niche). (b) which product will move market. (c) what people really want. (d) learn how to sell them on the internet and make money from it. (2) Create your own store or shop in the form of website or blog. Note: Do not open a website or blog yet, unless you have a plan in place already. The reason is to avoid making that costly mistake that so many people do when they start ignorantly. 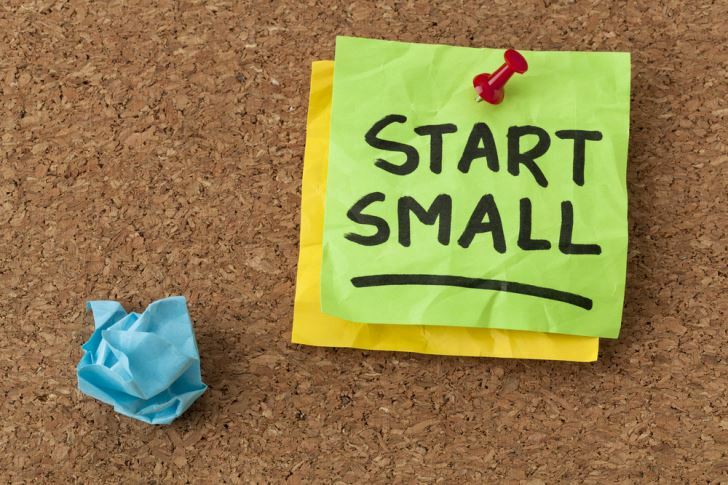 Just like any business, you need to learn first before you practice it. At the end of this training, you will be very knowledgeable about everything concerning internet business. So, make sure you read this post very well to understand all the points I raise. 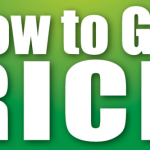 In the next training, I will start to point out various ways you can make money online. From those methods, you can then choose the one that you can do well on it. If you have any question on this topic, kindly ask them in the comments section below. I will respond as soon as possible. Please include your phone number in the reply. Hello, in fact you explain everything in a simple way. Like others or some people may have said I don’t have anything to sell for now,I can’t say of tomorrow. Presently I am not working and I need something that will be bringing money for me andy child. I have passion for children and I am believe God for someone or an NGO to help and set upa Daycare/Creche for me. Pls how can this be put into blog or website or domain. (I mean in whih way can this be a product to sell)Thank you and may God bless you, Amin. Hello Bimpe, Thank you for your question. I will try to give you the best direction I can. You can start writing what you know or love to do in a blog. From there, you can make money from your blog once you begin to have reasonable amount of readers. 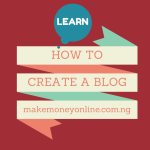 You can read how to create a blog here if you wan to start just now. Success! I really got interest in it ..if you really care to share ..I Knw much about internet but i Dnt Knw anything about how to create a website or blog.. Thank you sir for this opportunity have been seeking. How do create a blog? I really got interest in it if you really care to share ..